The first piece below, from the California Policy Center, takes the CalPERS Board to task about its harsh treatment of the city of Loyalton and LA Works in their efforts to exit this multi-employer plan. I have provided a solution for CalPERS in this regard that is fair and reasonable with Senate Bill 681 (see MOORLACH UPDATE — Pursuing Reforms — August 11, 2017 august 11, 2017 john moorlach). California cities have been a little slow in providing their support for the idea, but I’m hoping that they will join in the discussion. Public safety officials have been asking me for assistance. If something isn’t done to address these ridiculous exit penalties, I may suggest to municipalities that if their contract gets too onerous with CalPERS, that Loyalton has provided a path out. In the second piece, from Politifact, I am taken to task for one sentence in a recent editorial submission in the Sacramento Bee that tangentially mentioned an uptick in crime as a reason to be concerned with fuel theft as the tax increases are implemented (see MOORLACH UPDATE — Changing Behaviors — August 4, 2017 august 4, 2017 john moorlach). Ironically, shortly after my editorial was printed, theAP published a story on the fuel black market and associated theft validating my supposition. But Politifact decided that they were going to take one sentence from my piece and scrutinize it and label my claim, “mostly false”. Good grief! It’s no wonder that the term “fake news” is gaining traction. As someone who has served as the Chair of the Orange County Criminal Justice Coordinating Committee for some seven years, with members that included the Orange County Sheriff, the Chief Probation Officer, the Presiding Judge for the Superior and Juvenile Courts, the Director of the Health Care Agency, the Mental Health Administrator, the director of the Office of Independent Review, and a representative from the District Attorney’s office, their admonishment is a serious charge. Hasn’t crime been rising? The Politifact piece refers to the most recent reports for 2016 on violent crime increasing, so it’s interesting that I’m judged by it and with it, even though it came out after my piece. For more, see http://www.sacbee.com/news/politics-government/capitol-alert/article167879952.html, https://calmatters.org/articles/uptick-california-crime-make-political-issue/ and http://www.mercurynews.com/2017/08/22/walters-californias-uptick-in-crime-has-political-repercussions/. I won’t give a long lecture here about the impacts of Gov. Brown’s AB 109 on local communities, but it has been dramatic (see my reactions to its passage in MOORLACH UPDATE — AB 109 & CalOptima — December 12, 2011 december 12, 2011 john moorlach). We now have so many former state inmates in Orange County that our homeless population has boomed in the last five years. And, they hang around public spaces, like shopping centers and grocery stores. Look at the higher level of security staff at these venues in recent years. The number of housewives that have told me they are afraid when they go to purchase groceries has been alarming. And we’re talking cities like Costa Mesa and Newport Beach! The voters were also duped into approving Propositions 47 (2014) and 57 (2016). With former felony crimes being reduced to misdemeanors, I would postulate that our public safety officials are not making as many arrests as they had in previous years. A suspect who will only be charged with a misdemeanor is back on the streets within hours and may even be visited by the same police officer later in the day for committing the same crime. Because of the unintended consequences of so many changes in the classifications of crimes, and the prohibitions and lack of incentives that peace officers have in detaining people for crimes, I believe our crime statistics are not accurate. Don’t trust me on this bold claim, ask the Police Chief of your city. Those that participated in my December hearing on what is happening in the communities in my District as a result of Gov. Brown’s policies certainly argued that crime is getting worse (see MOORLACH UPDATE — Propositions 47 and 57 — December 8, 2016 december 8, 2016 john moorlach). 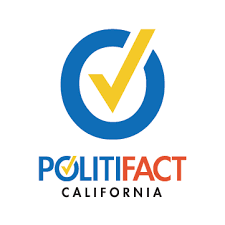 It looks like Politifact is not even familiar with what is really happening in California. All the same, I’m honored that someone in this country is reading my editorial submissions and I’m happy to include critical pieces in my UPDATEs. It’s too bad they didn’t address the topic of my piece and honed in on one short sentence. It must have been a fun project for the writer. But, twisting some facts and disregarding others makes my piece, in their estimation, “mostly false.” Consequently, as I do not believe I am flippant in my published remarks, I requested a columnist with more than three decades of experience, to provide a more thorough review of Politifact‘s piece and his analysis taking them to task is presented as the conclusion below. Sacramento — Observers have wondered in recent months why the California Public Employees’ Retirement System, the nation’s largest state pension fund and one of Wall Street’s most muscular financial players, has taken such a hamfisted approach toward one of California’s tiniest and least-powerful cities. There’s a rational, albeit troubling, reason for its approach. After the Sierra County city of Loyalton (pop: 862) could no longer afford its monthly payments to CalPERS to pay the pension benefits for its one employee and four retirees, the City Council voted in 2013 to pull out of the pension fund. In response, CalPERS slapped it with a $1.66 million “termination fee” – far more than the city’s annual budget. That means that, as recent news reports reveal, Loyalton’s retirees will soon have their pension benefits slashed by 60 percent, which is a massive hit for a small number of people. CalPERS is sending a message to other cities that want to leave the fund: agencies will pay dearly if they attempt to loosen CalPERS’ grip on their finances. The pension fund is taking a similarly hard line with some agencies in Southern California. “The CalPERS Board of Administration in March voted to cut the pensions of close to 200 retirees from the East San Gabriel Valley Human Services Consortium,” reported the Los Angeles Times this month. That agency, known as LA Works, folded in 2014. On July 1, “CalPERS sliced the pension checks for the consortium’s retirees by 63 percent.” The Timesalso pointed to the Niland Sanitary District in Imperial County, which is currently negotiating with CalPERS over exit terms. Every city’s payment for the “defined benefit” pensions that CalPERS administers is based in part on financial assumptions. The most important of these: the fund’s assumption that it will earn 7 percent on its investments (down from 7.5 percent). It calculates the fees that cities and other agencies have to pay based on benefit formulas and these assumptions about investment earnings. CalPERS could have negotiated a deal for Loyalton, says Dan Pellissier, a former aide to Gov. Arnold Schwarzenegger and well-known pension reformer. He points to California law that states the CalPERS “board may negotiate with the governing board of the terminating agency” regarding the “terms and conditions of the termination” from the pension fund. But CalPERS also confirmed that “the negotiations were based on what the city could afford on the $1.6 termination liability cost that they owed, not the discount rate.” There’s obviously no way that a city that said it couldn’t afford its modest annual payment (reportedly around $3,500 a month) in the 7.5 percent fund could begin to afford the higher payments based on 2 percent earnings. This is par for the course for CalPERS “negotiations.” When the city of San Jose tried to extricate its small pension plan for council members from CalPERS and move to a 401(k) system, CalPERS hit back. CalPERS had calculated the city’s liabilities at around $900,000 for that fund, but CalPERS wanted San Jose to pay around $5 million to exit. The point of the termination pool is to deal with agencies that become defunct. Loyalton still has an annual budget and government-owned assets such as a city hall. It’s a different story with LA Works and those handful of agencies that actually have dissolved. Those sorts of situations are what termination pools were designed to address. Even when agencies actually go out of business, there’s room for a settlement. CalPERS’ termination pool has a surplus of $111 million, so it’s 200 percent funded. The idea is to have extra funds to cover shortfalls. LA Works would appear to have a good argument that this is an appropriate use of some of those funds. “Upon termination, CalPERS becomes the guarantor of benefits for all members and beneficiaries whose benefits are paid from the TAP and has no future ability to obtain funds from former contracting employers,” wrote CalPERS CEO Marcie Frost, in a letter last month to the state Senate. She was responding to Sen. John Moorlach, R-Costa Mesa, who harshly criticized the disparity between the assumed rates in the two investment pools. But Frost’s rebuttal bolsters what pension reformers have been arguing. The TAP makes investments in “low-risk, U.S. government-issued securities” as a way to “minimize funding risk” because CalPERS then becomes the guarantor of all benefits. These are the investment assumptions CalPERS uses when it wants to be sure that it doesn’t lose any money. “If you felt that 2 percent is the interest rate, you should be basing it on that rate the whole time,” Moorlach told me, rather than basing it on 7.5 percent and then lowering it to 2 percent once an agency wants to leave the system. “I’ve paid what you charged me. You’ve undercharged me. That’s your problem,” he added. The bigger problem, of course, is that if CalPERS tried to move the entire system to a sustainable basis – i.e., one that is priced like a private fund that didn’t rely on public subsidies and future bull markets –it would need to increase dramatically what it charges member cities and agencies. Those public agencies already are slashing services to pay their current, escalating bills. CalPERS’ “number one strategy is to preserve the defined benefit and get more employees into defined-benefit plans,” Pellissier said. So the fund “absolutely” is making an example of Loyalton to keep other cities from getting the wrong idea. In the meantime, a reasonable negotiated settlement with Loyalton and other exiting agencies would quietly preserve the relatively small pensions of a handful of employees. However, it could also send the message to other cities and agencies that leaving CalPERS might be a doable alternative. Given its current union tilt, the pension fund certainly can’t allow that idea to gain traction. Steven Greenhut is a contributing editor to the California Policy Center. He is Western region director for the R Street Institute. Write to him atsgreenhut. Has crime been getting worse in California since Jerry Brown was elected governor? Republicans including California State Sen. John Moorlach have railed against Democratic Gov. Jerry Brown for signing a gas tax increase earlier this year. The Orange County lawmaker took his criticism a step further in a recent op-ed in which he predicted the gas tax hike, combined with California’s cap-and-trade extension, would boost gas prices so much that thieves would start siphoning fuel from cars. Moorlach went on to declare that crime has been on the rise under Brown. We’ve fact-checked similar claims about increasing crime rates from other California lawmakers including State Sen. Jeff Stone of Riverside County and Assemblyman Travis Allen, an Orange County Republican running for governor. There’s been some truth in those claims, but those who made them also ignored key context or distorted the facts. We wondered how Moorlach’s statement, specifically the portion about crime getting worse since Brown was elected, stacked up. Before diving into the senator’s claim, here’s some background on California crime trends. Like the rest of the United States, California has experienced a dramatic long-term reduction in crime over the past several decades. Between 1980 and 2015, the state’s overall crime rate declined by about 60 percent, according to the nonpartisan Legislative Analyst’s Office. SOURCE: California Legislative Analyst’s Office. The property crime rate peaked in California at nearly 7,000 crimes per 100,000 population in the early 1980s. Three decades later, it had dropped by more than half. The violent crime rate saw a similar dramatic drop during this period. We took that to mean Brown’s current stretch as governor, which started with his election to a third term in 2010 and continued with re-election to a fourth term in 2014. Brown served his first two terms as governor from 1975 to 1983. For this current stretch, we looked at crime data from 2010 through 2016, the most current year available. We also considered the period 2010 through 2015 because Moorlach’s spokesman said the senator did not have had access to a California Department of Justice report on crime for 2016, given that it was released two weeks after his op-ed published. No matter the exact years selected, California’s crime story during over the past half decade is not as simple as Moorlach’s statement implies. The statewide crime rate, which measures both violent and property crimes, ticked up in 2012 and 2015. It decreased, however, in the other four years during Brown’s current stint. This overall crime rate includes violent and property crimes. Violent crimes are homicides, rapes, robberies and aggravated assaults. Examples of property crimes include burglary, theft and vandalism. Peterson said the past six to seven years have been marked by fluctuations in California’s crime rate, not a steady increase or decrease. Stanford Law School Professor John Donohue, who researches crime trends, said Moorlach’s claim might contain an element of truth but overall is flawed. To fact-check Moorlach’s claim about crime getting worse, we examined statistics from the California Department of Justice’s recent report Crime in California 2016. It includes crime rate data from 1966 through 2016. The data show that from 2010 through 2015, the most recent year from which Moorlach likely drew his conclusions, California’s overall crime rate declined slightly from 3,069 crimes per 100,000 population to 3,047 crimes per 100,000. This casts doubt on Moorlach’s claim that crime has been getting worse. Even when examining the violent crime rate alone, the results are mixed. In three of the years since Brown was elected, the violent crime rate notched up, while it dipped in the the other three years. Had Moorlach narrowed his claim to 2011, Brown’s first year back as governor, through 2015, the crime story would be slightly different. California’s overall crime rate inched up between those years, from 3,007 crimes per 100,000 population to 3,047 per 100,000. Sen. Moorlach’s spokesman provided us with links to about a half-dozen news articles that detailed crime increases across California. None of the articles, however, showed a sustained increase from 2010 through 2016. In his op-ed, Moorlach cited a spike in violent crime in 2015. He’s right for that single year for that type of crime: state justice department figures show an 8.4 percent rise in violent crime in 2015 compared with the prior year. In recent months, politicians such as Assemblyman Allen have pointed to this period as evidence for growing crime concern in California. Many have cited a PPIC analysis comparing the first half of 2014 to the same period in 2015. It found widespread increases in crime rates in California cities with a population greater than 100,000. Of the 66 California cities that size, 49 saw an increase in violent crime and 48 experienced increases in property crime. Many saw double digit percent increases. A subsequent report comparing the first half of 2016 with the first half of 2015 showed overall crime decreasing, driven by a drop in property crimes. That report was published by the Center on Juvenile and Criminal Justice, a policy research group that makes recommendations on alternatives to incarceration. Two weeks after Moorlach’s op-ed was published, the California Department of Justice released statewide crime statistics for 2016. That report showed a slight decrease in the total crime rate, driven by a nearly 3 percent decline in the property crime rate. Violent crime, meanwhile, increased about 4 percent in 2016. We won’t use these statistics as a determining factor in our rating for Moorlach’s claim since his spokesman said the senator didn’t have the report. The 2016 data, however, appear to support the idea that crime has not followed a consistent pattern in California over the past half dozen years. His spokesman pointed to news articles that cite an uptick in crime in 2015, when many large cities in California saw double-digit increases in violent crime. But neither those articles nor state crime reports show a sustained increase from the time of Brown was elected governor in 2010 through the current period. In fact, there was a slight decrease in the state’s overall crime rate from 2010 through 2015, the most recent year Moorlach was likely referring to. Crime researchers emphasized that California and the nation have experienced a dramatic decrease in crime in recent decades. They say California’s crime rate increases in 2012 and in 2015, however, are reason for concern but are not evidence that crime has gotten worse over the past half dozen years. We rate Moorlach’s claim Mostly False. Politifact misrepresented Sen. John Moorlach’s Aug. 4, 2017 op-ed, and inadvertently affirmed the op-ed’s claims on crime rising under Gov. Jerry Brown. Misdirection.The body of the Politifactarticle is 1,269 words. Of that, 158 words are spent on crime statistics going way back to 1965. Another 255 words are spent on statistics from the California Department of Justice report on crime for 2016 which was released on Aug. 17, 2017, almost two weeks after Sen. Moorlach’s Aug. 4, 2017 op-ed. “Stanford Law School Professor John Donohue, who researches crime trends, said Moorlach’s claim might contain an element of truth but overall is flawed. And that’s precisely – narrowly – the time period in question: 2011, Brown’s first year back as governor, and 2015, the last year available at the time the op-ed appeared. And crime went up.